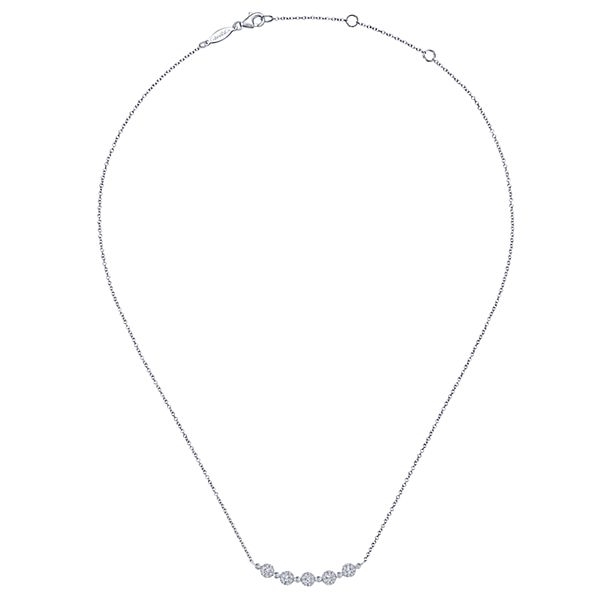 This graceful curved diamond bar necklace suspends 0.34 carats of diamond brilliance from a 14k white gold chain. 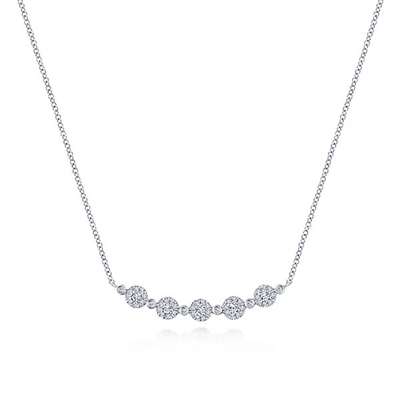 Curved round diamond sections hang elegantly in this 14k white gold diamond neckalce. Copyright © www.goldiesjewelry.com. All Rights Reserved.